October is a month that is jam-packed with great events. Has your child decided on a costume for Halloween yet? Will it be store-bought or home-made? Fire Prevention Week is another important October event. When I was a little girl, we lived on the seventh floor of an apartment house…I can remember my parents doing fire safety drills with me and my older sister…what to do if there was a fire and where we would meet if we got separated. Even though parents need to practice what to do in case of disasters, it’s important to reassure children that, no matter what happens, there will always be someone to take care of them. To help celebrate Fire Prevention Week, I’m spotlighting a book by children’s author Patrick Milne…he was part of Susanna Leonard Hill’s mini-series on self-publishing several months ago. From Amazon: Lucy Snigglefritz, world-famous circus dog, is the star attraction of Amazing Avido’s Circus. But when ticket sales slump, Lucy is left behind by the circus to fend for herself. On her own for the first time, Lucy sets out on a new adventure. What can a circus dog do without a circus? Wonderfully engaging main character that young kids can relate to. Brilliant illustrations that truly tell the story. Great text that entertains AND provides a lesson in believing in oneself. It’s fun to find out a little bit about how a picture book is born. 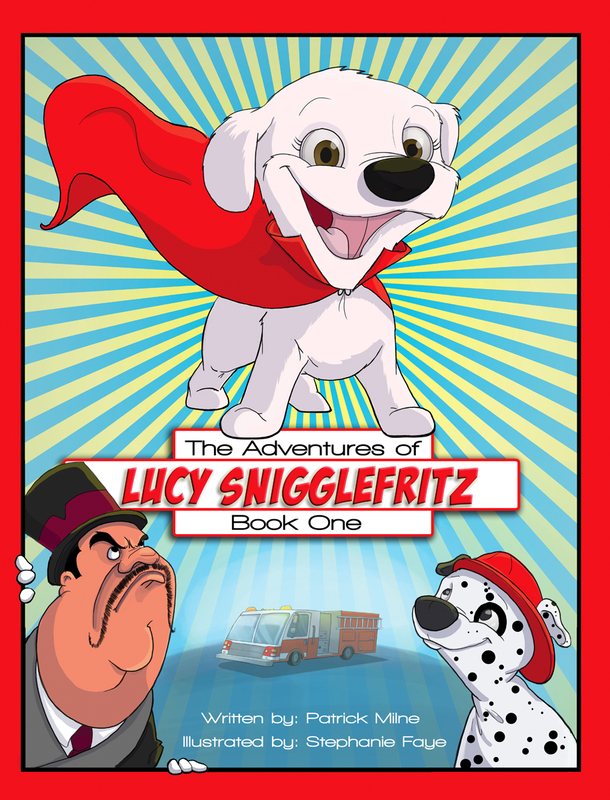 The author has graciously shared a little bit about his writing journey and how “Lucy Snigglefritz” came to be! I asked Patrick to talk about the main character and her challenge in this story. One of the really interesting things is that the author worked with his sister during the entire process…she is the illustrator! Patrick, I love the educational angle to your books…can you share that? “The educational concept behind Lucy is that each story revolves around her meeting a breed of dog that’s suited to a certain job. In Book 1, she met Sooty the Dalmatian and found out why dalmatians make such good fire dogs. In Book 2, we explore why poodles make such good show dogs, so there is a strong educational angle. I learn a lot when I research for each one. The second concept is one that revolves around self-confidence and self-belief. It’s the series arc and we explore this in more detail with each book as Lucy meets new characters, experiences a new life beyond the circus, and gradually finds out she’s good at a lot more things than just jumping through fiery hoops. It’s currently available on Amazon for the Kindle right here. We’re working on getting it into other online stores. An iBook version is coming with different interactive parts but that’s a ways off yet. Print copies of the book are also available at select stores….you can find out here. I want to thank Patrick so very much for letting me share “The Adventures of Lucy Snigglefritz”…we eagerly await the next book in the series! In an emergency, people often panic and forget the simplest things. Why not make a door hanger for your child’s doorknob…with important phone numbers and information on the back side…911 and perhaps a close family member and also a nearby neighbor whom your child can call upon for help. You will need: 1 piece of heavy-weight construction paper (or card stock), 1 piece of white paper, markers, glue and scissors. Cut the construction paper in a rectangle and then cut out a circle near the top. Decorate one side with fire-fighting pictures (you can cut these out from magazines and paste them on or draw them with markers or crayons). Cut a sheet of white paper to fit the back side and glue in place. Write important phone numbers with the name of two or three of the people your child will feel comfortable and safe with…putting a photo of the person next to their phone number will help very young children identify who it is. Hang on your child’s doorknob! Lots more fire prevention week crafts here. Do a fire safety drill once a month. The theme of this year’s Fire Prevention Week is “Two Ways Out”. Do you have two exits from every room in your house? Lots of activities for kids (and maybe some prizes) here. This is an unbelievable resource for any parent, teacher or children’s librarian. This entry was posted in Children's author Patrick Milne, Fire Prevention Week, Perfect Picture Book Friday and tagged children, Fire Prevention Week, Halloween, Patrick Milne, Picture book, Susanna Leonard Hill, The Adventures of Lucy Snigglefritz by viviankirkfield. Bookmark the permalink. This looks like a great book! I like reading about dog heroes and Lucy looks like a real winner. And it sounds like the series will be one to look forward to. What a great idea to learn all about different breeds of dogs! Thanks for sharing this story. I thought you would like it. 🙂 I love stories where the main character learns to believe in himself and shows determination…I’m also looking forward to the next book in the series! Vivian, great pick of books. Haven’t read this series, but I know some grandchildren who would. Great to pick p on Fire Prevention Week — I try to follow awareness weeks and months too. Cute picture of Jeremy. 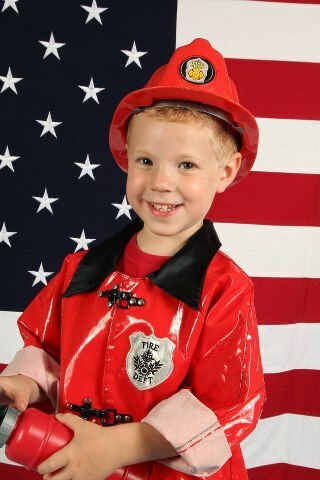 My husband’s eldest son is a fire chief. Loved your choice for PPBF and I certainly loved your activity… “door hanger” what a great idea. (Even I am forgetful of numbers.) Great minds think alike, stories of dogs….lol. Glad you liked it, Diane! I thought it was a great way to have important numbers close at hand…and using photos of the people next to the phone number would help young kids. Great post! Love the mc’s name, and that photo is too cute! Thanks for stopping by…it’s a really cute story! Many parents don’t think about doing fire safety drills…but they are very important and could save lives. 🙂 Glad you thought it was a helpful post, Eliz!